Regardless of how you acquire the new member of your family it’s important that you do your research. If you know a certain breed you are really fond of, then research it and make sure that it is good fit for your family. Do you want a big or small dog? An active/working dog vs a more laid back breed? What kind of life expectancy are you looking for? These are important questions when deciding what type of companion you want to add into your life. Adoption is a GREAT way to find the perfect dog for you! If you take the time to really look, you can find any kind of dog that you want. Many people believe that the only way you can get a purebred dog is from a breeder – this isn’t true! There are a lot of purebred dogs that end up in shelters for various reasons. There are also breed-specific rescues that are an awesome option if you know you want a certain kind of dog. I highly recommend that you always try a shelter first. There are millions of animals that need good homes – and you have the power to change their entire life for the better. If you can’t find what you want in a shelter or rescue and you’ve decided to use a breeder, make sure you do your homework. Not all breeders are the same. You want to ask a lot of questions and get references – this is your right as a potential client! What conditions do they keep the dogs in? Where do they house the dogs? Can you see the parents of the litter you are looking at? What kind of papers do they have? Have their hips been certified? How many dogs/puppies to the breeders have at a time? Have the dogs/puppies gotten adequate veterinary care/shots/deworming/prevention? What type of food do they use? Do you have full rights to the puppy? All of these questions are incredibly important and should not be taken lightly. 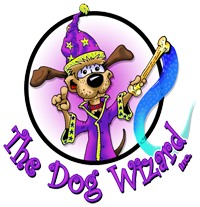 If you have any questions about evaluating a dog/puppy or what kind of dog might fit your family’s needs you can always emailinfo@fortcollinsdogwizard.com and we would be happy to help! It is way more fun for your dog to walk with a loose leash and enjoy the fresh air and scenery! How cool is it to be able to let your dog play at the park and enjoy life! Be able to give your dog LOTS of love for the right things!